Amazone introduced the Smartest Sound Speaker on earth called Echo. 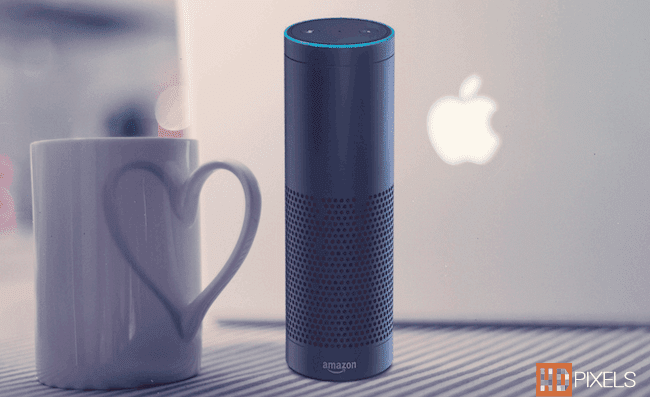 It is not an ordinary Bluetooth device, It's a device which connects to Amazon's cloud services so it can listen and respond to voice commands on a various topics and services, for example (News, Weather, Alarm, Music and other information). Echo is always on and connected to Wi-Fi so it's ready to respond instantly. We are so excited about this invention, The Echo cylindrical speaker is 9.25 inches tall and 3.27 inches wide, Which has a price of $199 or just $100 for Amazone Prime members. Echo has been fine tuned to deliver crisp vocals with dynamic bass response. Its dual downward firing speaker produces 360° omnidirectional audio to fill the room with impressive sound. 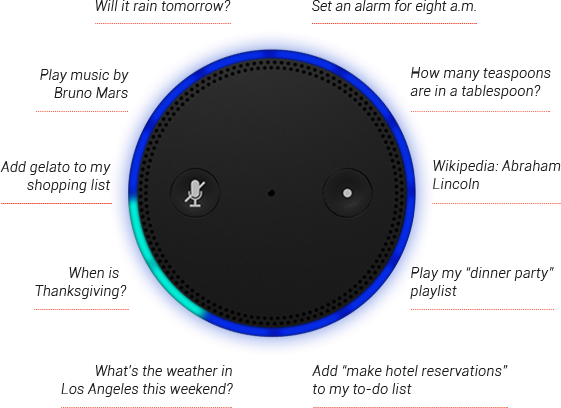 Echo also provides hands free voice control for Amazone music, Prime music, iHeartRadio, and Tunein. Plus, Echo is a Bluetooth-enabled so you can stream or listen your own music from phone and tablet. 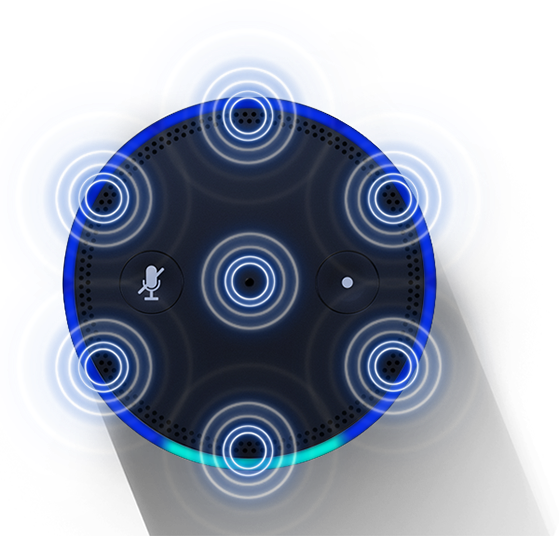 Tucked under Echo's light ring is an array of seven microphones. These sensors use beam-forming technology to hear you from any direction. With the enhanced noise cancellation, Echo can hear you ask a question even while it's a playing music.